Baseball starts this week and I don’t think that Littlest and my husband could be more excited. 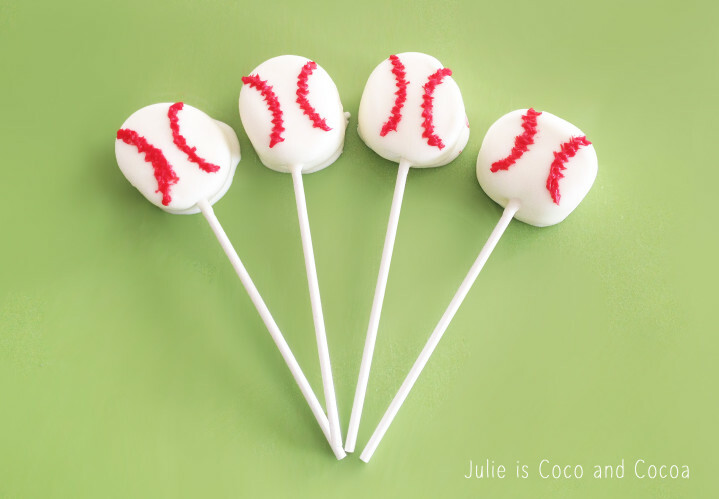 What better way to celebrate the start of the season than with some baseball themed treats. 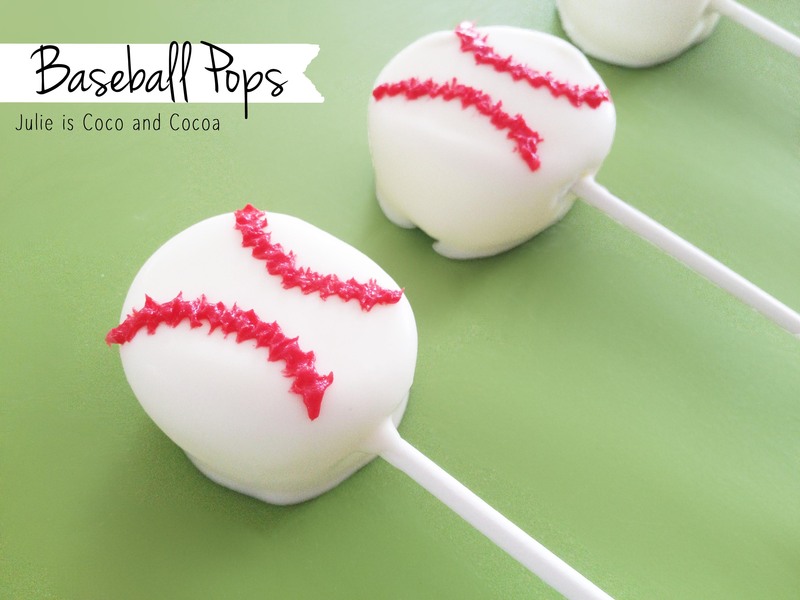 For Littlest I decided to make him some baseball pops, aka marshmallows dipped in white chocolate. 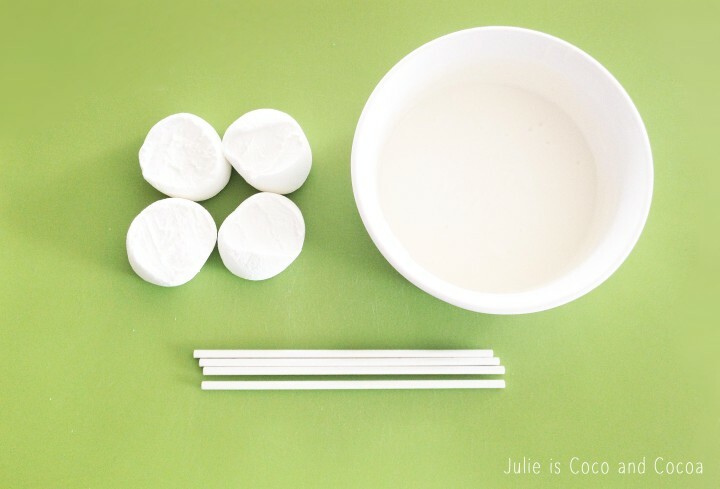 I got the jumbo sized marshmallows and then cut them in half to make the baseballs. 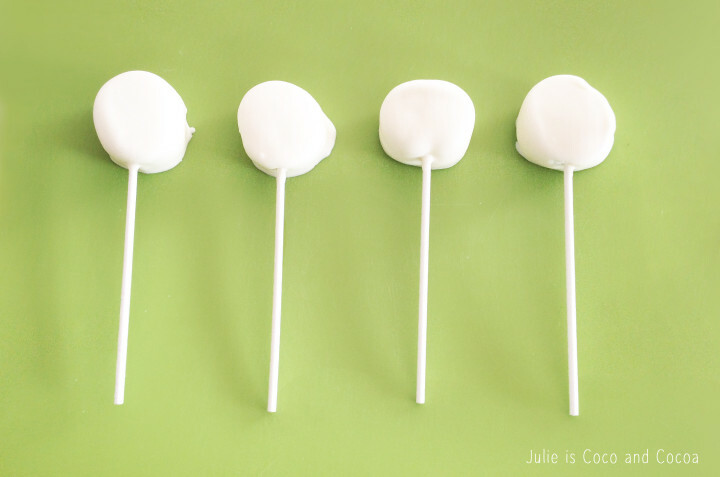 I inserted the lollipop stick , dipped them in white chocolate, and then let them harden. Once they were ready I could use some red frosting to draw on the red laces. Some of the lace drawing went smoother than others. 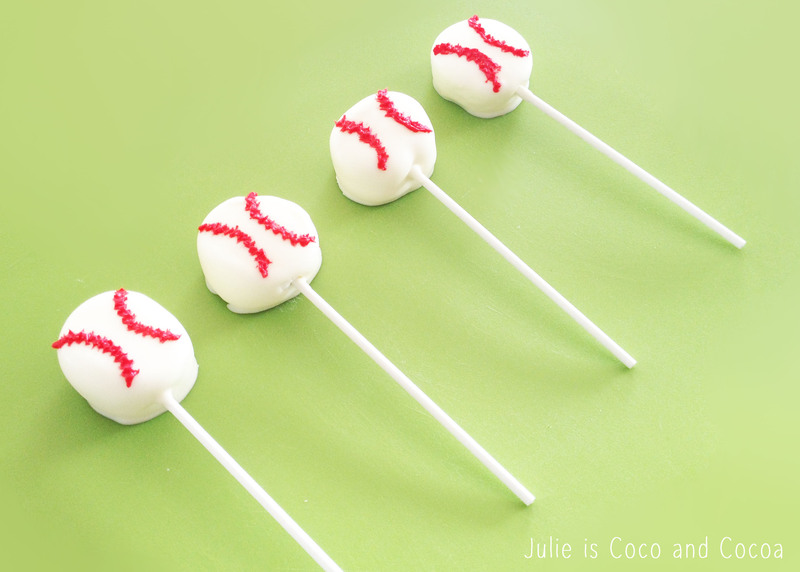 Serve the baseball pops and they’ll be a home run! (I’m so punny.) 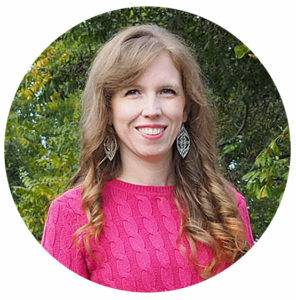 You could even personalize them by adding your team logo to them or using your favorite teams colors. The start of the season also reminds me that I need to look at t-ball teams for Littlest for this fall! It will be first time to play and he’s been talking about it for awhile.